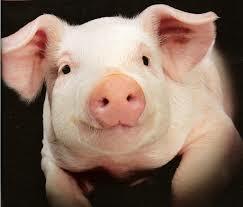 In 1985 in a remote jungle in India a pig was found with a dual stomach chamber and was a cud Chewing animal. The Hebrew Bible says that to be kosher and animal must be cloven footed have a dual chamber in its stomach. Deuteronomy (14:4-5) swine are cloven footed ( split at the hooves) Genetic engineering may be brought into play to produce kosher pork .We at The Lerman Report .com want to know would you eat meat from such an animal if you normally keep Kosher? Suzzane Eman Engaged , Plan on a Big Wedding! I’m really enjoying the theme/design of your web site. Do you ever run into any browser compatibility problems? job with this. In addition, the blog loads super fast for me on Internet explorer.